Samsung has been working with TBA on two business partner conferences in London and Barcelona. The mobile technology, electronics, appliances and printing company appointed TBA for a supplier conference in Barcelona and a partnership event with Microsoft in London. Samsung’s European Printing division planned a launch event at the W Barcelona hotel, to showcase its free standing and desktop printers to UK and European resellers, on 8 November. A total of 90 delegates attended the TBA-organised conference and exhibition, which also included an evening at the Barceloneta restaurant and nightclub CDLC, and an overnight stay. TBA director Chad Simpson said: "The destination was one of the successes of the event, as we were able to be in a great hotel less than half an hour from the airport." Meanwhile, Samsung partnered with Microsoft for a one-day conference at the Sofitel London Heathrow on 31 October. 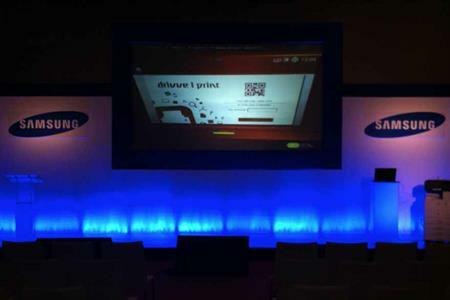 London-based agency TBA worked with Samsung and Microsoft to produce the event to showcase the new Windows 8 technology to business resellers. Around 60 delegates – half from the UK and the remaining from across Europe – attended the event, which included a separate exhibition. "The brief changed a lot, but we are used to that," said Simpson. "We also have an event manager working as an implant in the Samsung team, which helps us further our relationship with the client."